https://www.boyss-sound-e-scapes.com/maschine-mdp-2 ***click on SHOW MORE*** This short composition was expanded upon Maschine MDP 2 Short Demo video (link: https://youtu.be/2TcPnZfyTZU ) where we created drum loop for live synth jam. We recorded those bass notes, added few other synths/strings and this is it. We didn't change bass and drum kit sounds nor drum pattern, same quick basic pattern except on some parts of the composition Hihats or Kick are soloed. 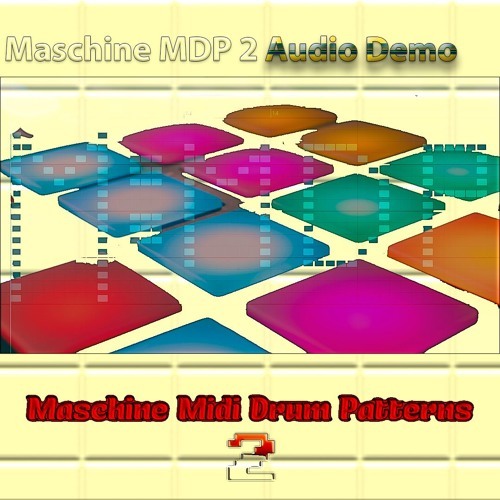 Maschine MDP (1&2) are midi packs for easy creation of drum loops/breaks. Because user can create any kind of combination of separate drum elements patterns it is very easy to make your own drum loops and breaks. Maschine Midi Dum Patterns 2 is second and final installment in the series. There are all-new midi patterns, slightly more than in the first part (1st: almost 4k, MDP2 over 4,3K individual midi files). They are not restricted to using just in NI Maschine software, they can be used with other DAWs/samplers. You can check the product here: https://www.boyss-sound-e-scapes.com/maschine-mdp-2 Free Demo pack available. Demo is heavily stripped version (only 5% of full version) but still contains over 200 MIDI files and templates too, no license or other differences.